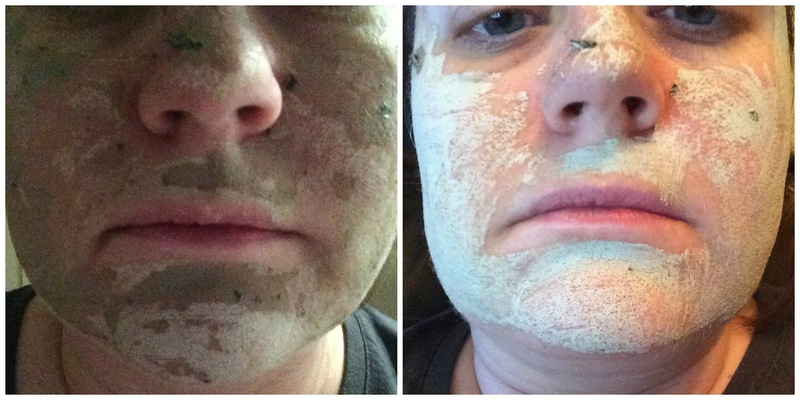 It is a well known fact that I love facemasks, you only need to search for the term on my blog to find endless reviews and one of the products I had been lusting after was GlamGlow Youth mud which I got in a You Beauty Discovery Box as you can see HERE. Skin Collagen Synthesis for a noticeable 3 day glow. Brighter, radiant skin in minutes. Leaves skin noticeably soft and smooth. Penetrates into the deepest layers of the skin to soften fine lines and wrinkles. Tightens, tones and lifts the skin. Relieves dark circles and minimises pores. Helps protect against everyday environmental aggressors. Suitable for all skin types, all ages and for both women and men. Contains no artificial colours or fragrances. 100% paraben-free, cruelty-free, and suitable for vegans. So yes I got my hands on a small and cute little tube which contains 15g of GlamGlow mud and with its black tube body and silver lid it certainly stands out in the bathroom amongst many Lush products which are all brightly coloured. As soon as I had washed and cleansed my face, to make sure there was no dirt, grime and other nasties lurking on the surface, I opened the tube and began to apply the mud, now as an exfoliating mask you have to expect some 'bits' to be it to exfoliate the skin, only these bits were a little bigger than I expected and having them stuck to my face wasn't a very attractive look. Now it does state that you should begin to feel a bit of a tingling sensation, well you certainly do and as the mask dries onto your face the tingling sensation intensifies, in a nice way and it is good to know it is actually doing something. Having dried within a matter of what felt like minutes, I grabbed by Washi cloth which was sitting in some warm water and began to massage the now dried mask on my face in circles so that I get a really good exfoliation of the face and then once complete and my face had been splashed with some clean warm water to ensure i had removed every trace of the mask, I patted my skin dry. Afterwards? Well what can I say, my skin looked and felt amazing, smooth to the touch rather than dry and dehydrated. No dry skin anywhere on my face at all and given the weather has changed a lot recently I had begun to notice the dryness on the cheeks sneaking back and now it had been dealt with. As for the effects lasting 3 days, well actually yes I think they did, no dry skin whatsoever and the soft smooth and hydrated skin was still there, obviously I continued to moisturise as I usually would. I had secretly hoped i wouldn't like this treatment so much, but truth is I absolutely love it and am thankful I have another 2-3 maybe 4 uses in this tube (assuming the mister doesn't try it out) and I am even considering buying a full sized tub. Have you used GlamGlow? Are you a fan? I love glamglow!!! so expensive though but it definitely works.. I'll never stop reading reviews of this wonder mask! Really must try it! I REALLY want to try this! I keep hearing so much about Glam Glow.. I need it!